Awesome training! The training was very well-presented by the trainer. It was very well-planned to complete in two days and the trainer took extra effort in going through specific topics that mattered to us a lot. Specifically, the differences between Waterfall and Agile were well taught by the trainer. He also taught us how to unlearn the learnt (waterfall). Thanks to KnowledgeHut and the trainer! Eindhoven is a very well-known city in the south of Netherlands. The city has long been a centre of co-operation between research institutes and industry. Due to its high-tech environment, Eindhoven is part of several initiatives to develop, foster and increase a knowledge economy. The Certified Scrum Developer Certification in Eindhoven offered by KnowledgeHut will help gain this coveted certification that is known all over the world and gain employment in the IT department of several sectors. The Certified Scrum Developer Training in Eindhoven is a five-day intensive workshop led by Scrum Alliance authorized tutors. The academy focuses on providing technical assessment and grasp of Scrum principles. The trainer focuses on making the applicant clearly understand the fundamentals, artefacts and ceremonies of Scrum. The CSD certification in Eindhoven provides live demos and practice sessions to understand the technical track like test-driven framework. 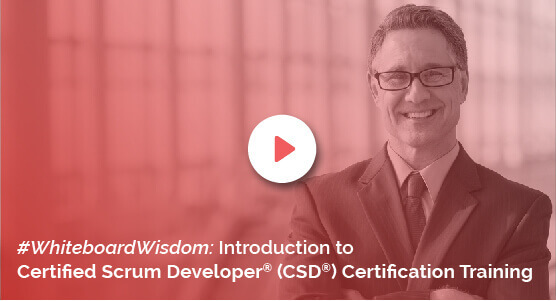 The CSD Course in Eindhoven helps earn the scrum developer credential that demonstrates that you have a completeunderstanding of all the basic and complex Scrum principles. The CSD training in Eindhoven is a career-developing course. The certification of Scrum is a badge of honour that should be worn with pride. The institution helps the registered applicant to set up standard and best practices for quick and quality development. The CSD Training in Eindhoven is a globally-recognized course as KnowledgeHut is a global registered education provider. Such a unique and high value course is available for a fair cost. For a reasonable fee, Knowledgehut provides the best in industry study materials and lectures. Hence, it provides an ideal platform for budding individuals who want to make it big in the professional world.